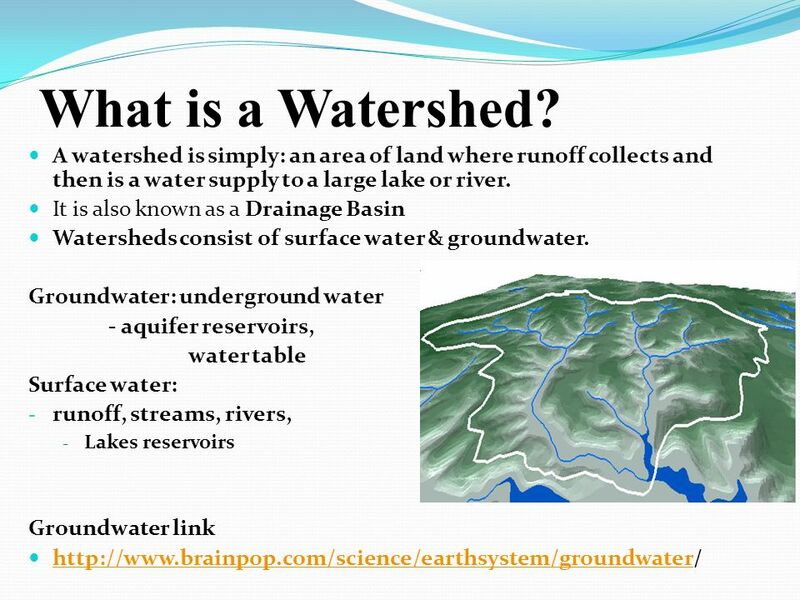 The watershed refers to the entire territory drained by a main watercourse and its tributaries. The boundaries of the catchment area are defined from the highest points that determine the flow direction of runoff to the main watercourse. 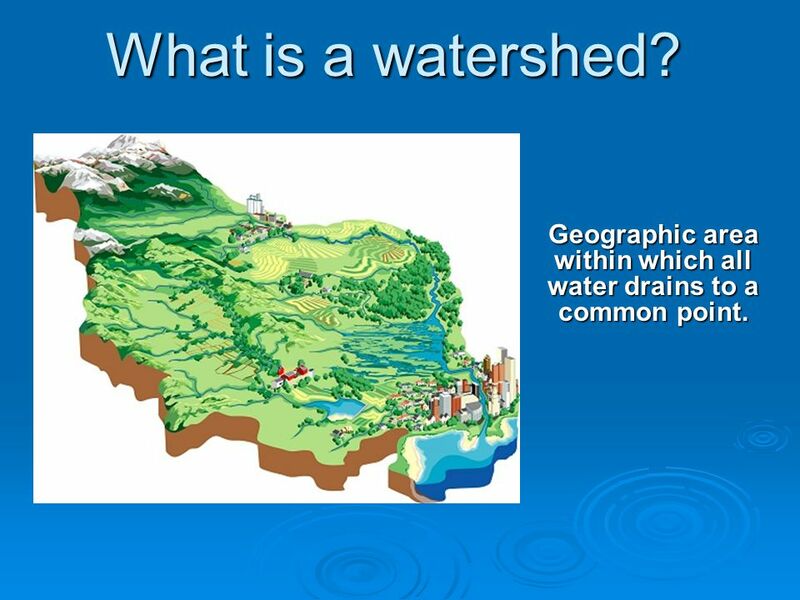 On the same watershed, it is very common that several municipalities, MRCs, economic owners, agricultural and forest are present, their respective territories interacting with each other by the flow of water. Their territories are very different from the natural boundaries of water flow. Their planning and land management decisions are therefore made taking into account their territories (administrative territories, land properties, land properties, etc.) and not according to the flow of water and the cumulative impact of all their uses. 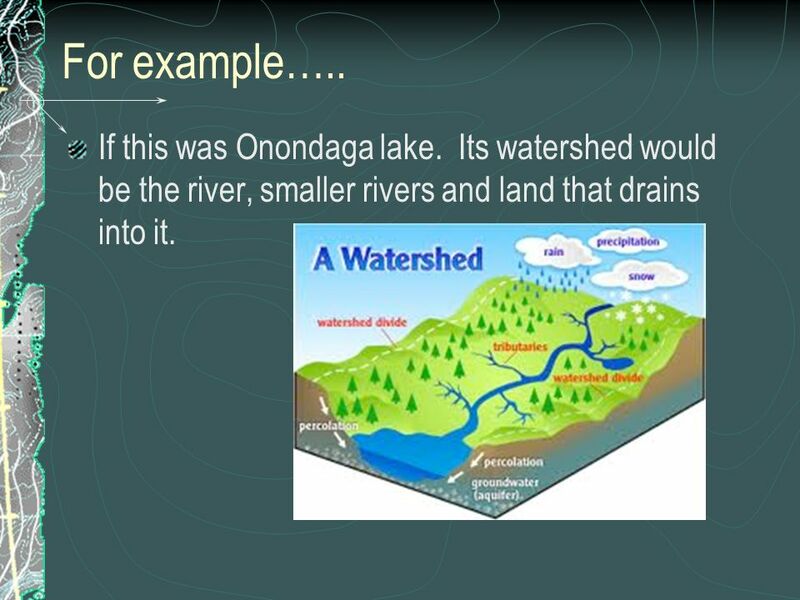 Explanatory video on the flow of water in a watershed (in English).